Above: Billion Dollar Brows Hint of Tint, a convenient gel and Universal Brow Pencil, a retractable definer with a built in spool brush. I recently got the chance to try a few items from Billion Dollar Brows, a line that expressly specializes in brow products. To be frank, my brows are fairly low maintenance; I prefer a natural brow and, with the exception of some light grooming twice a month to eradicate the "strays," I don't spend an inordinate amount of time on them. Although I consider my brows relatively full, I do enjoy enhancing them slightly to increase their definition and shape. 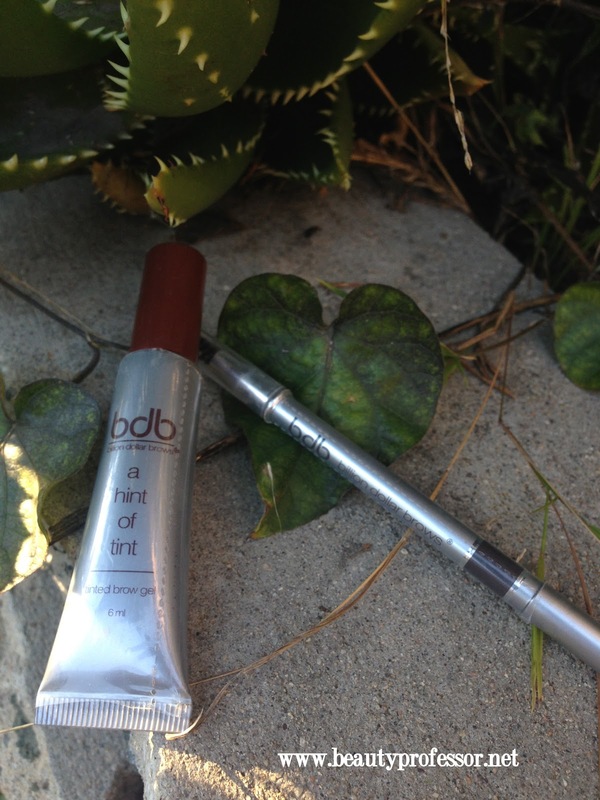 Two products that effortlessly fit into my relaxed brow lifestyle are Hint of Tint and the Universal Brow Pencil. Retailing for a very reasonable $18, Hint of Tint comes in a very convenient squeeze tube with a built in spool wand applicator (much like mascara). The gel itself is thin and manageable and has a natural color (I selected "Taupe" for medium to dark brown hair) that is neither too warm nor too cool. One of my personal pet peeves is using a "brown" brow product that pulls red...it just looks so garish and obviously incongruent. I love how ash brown this truly is! 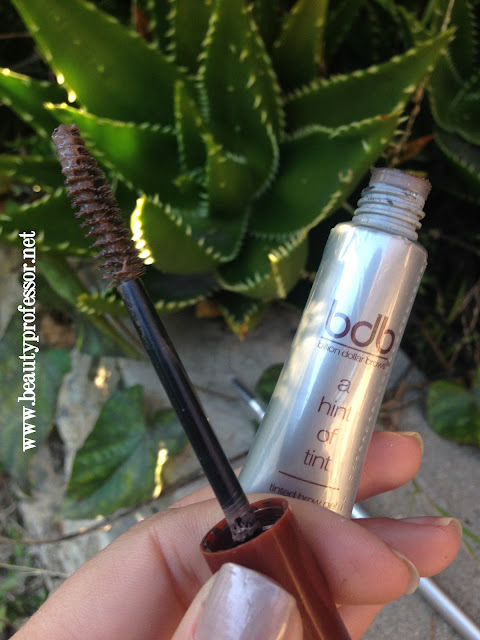 Using this product is obscenely simple...all I do is brush the wand in an upward direction on my brows and, viola...instantly defined and well-groomed brows without the use of separate powder and gel products. 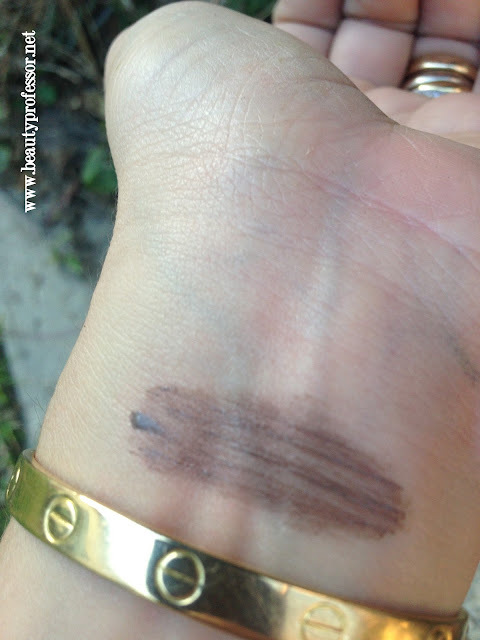 Above: A swatch of Hint of Tint in Taupe...this is a medium neutral ash brown that looks very inconspicuous. 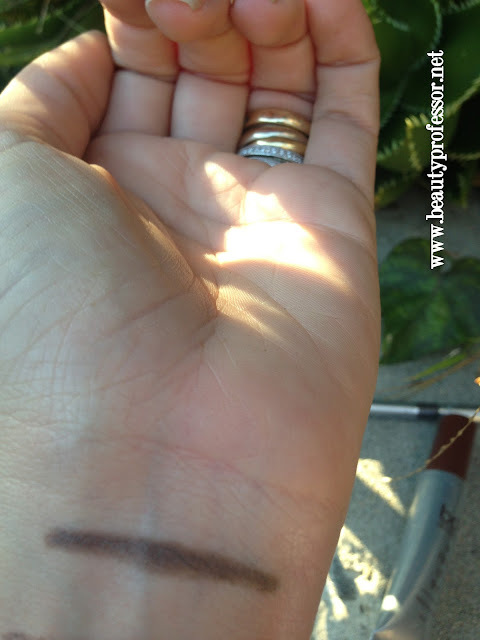 I also tried the Universal Brow Pencil, which retails for $15 and comes in, you guessed it, a singular, universal shade. 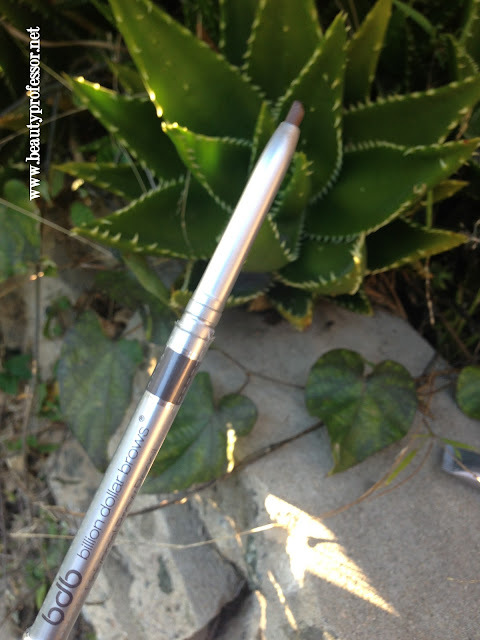 This retractable pencil reminds me of the Dior Show Brow Styler Pencil (which I have bought at least four of over the years...it also comes in a mono-shade) in terms of color and performance, although the BDB is almost half the cost! I use it to fill in a marginally sparse area near the arch of my right brow and appreciate how smoothly and uniformly this applies. It provides a natural tone to my dark brown brows and, aside from the improvement in shape, is completely undetectable. Above: A swatch of the Universal Brow Pencil...this pencil goes on lightly, but I executed a couple of strokes to reveal its saturated color. 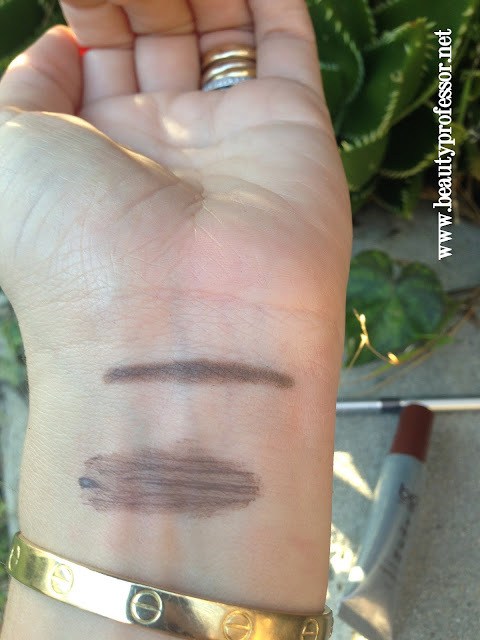 Above: Swatches of Hint of Tint and the Universal Brow Pencil in natural daylight. Note the natural ash brown tone of both! Bottom Line: The Billion Dollar Brows line is wonderful. The company truly does have a profound and professional understanding of what it takes to achieve a beautifully natural eyebrow. The products are high quality, embrace a believable (yet, relatively difficult to locate!) ash brown tone and are sensibly priced. I have a couple of other BDB products that I've yet to try (namely, an eyebrow serum and brow powder), and will weigh in on them once I've reached a verdict. 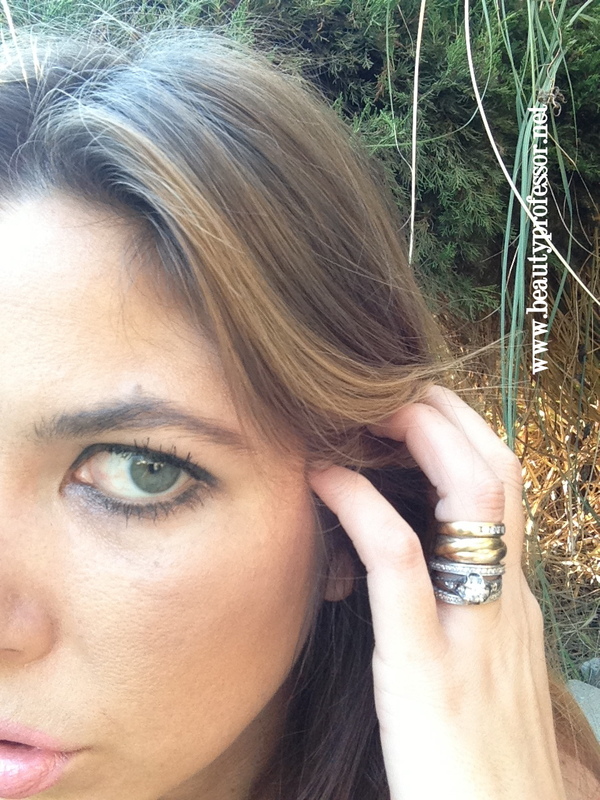 In the meanwhile, the Hint of Tint and Universal Eyebrow Pencil have become valuable staples in my daily routine! I've never heard of this brand, will have to check it out since I have no brows to speak of, lol. I have been so pleased with the performance of the products from this line! Highly recommended! !